Shaw customers who did not read the small print on their December bill may be surprised to find a 10 per cent hike on their Internet service from Jan. 1. The company added the rate increase under the total due on December bills. On their website, Shaw explains the reasons for the hike as necessary to "support continued investment in building and supporting the Internet experience you need now and in the future." The news has caused outrage from customers, with many taking to Shaw's online community pages to complain. One customer, posting under the username "jedooley", says a recent $10 per month loyalty discount offered to him by Shaw to keep him with their service now has little meaning. "Did I miss something here?," the post reads. 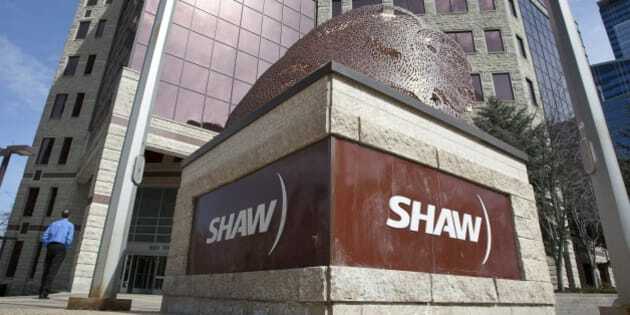 "Shaw is trying to push off unapproved rate increases to their customers...It makes me want to explore alternatives to cable, such as streaming Internet and free to air satellite and cancel their service altogether." Confusion over concomitant changes to Shaw's Internet speed rates are adding to the anger expressed by customers. A table of speed rate changes and prices posted online to a thread on Reddit Tuesday, suggested that customers would be paying more for a service that could be 40 per cent slower. Shaw refutes this claim, releasing information on a swath of new packages that will be offered to new or upgrading Shaw customers. Nevertheless, Josh Tabish, consumer advocate for Open Media, told CBC News that in reality, the newly-tiered system could mean customers paying more for less. "Basically, new customers will pay equal money for slower service," Tabish explained in an email. "Old customers will keep their plans but see rates go up no matter what. So from the perspective of your wallet, this works out to slowing speeds for more money. "While it's tough that Shaw hasn't announced the pricing for the new tiers, we know that there's going to be an increase and the scenario above could be a tough pill for many Canadians to swallow."